The British formation Above & Beyond which was established in 2000 will perform in the biggest and most modern club in Slovakia MINISTRY of FUN Banska Bystrica! The popular trio Above & Beyond belongs to the best formation in the electronic dance music scene through their Trance & Progressive production. They also own the label ANJUNABEATS. Don't miss an amazing musical and visual show in MINISTRY of FUN club Banska Bystrica! » VOTE for TOP 100 best clubs in the world! 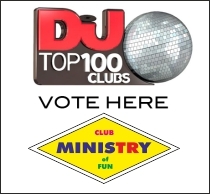 Are you ready for VOTE for MINISTRY of FUN Banska Bystrica at DJ MAG in TOP 100 best clubs in the world! Let's go and do it right now. VOTE sooner than 21th. of february. Find few seconds for voting for your favourite club MINISTRY of FUN Banská Bystrica and support us. » MINISTRY Rental Service on TRANSMISSION in PRAGUE! During weekend (19.1.2013) was in Prague another edition of great music party TRANSMISSION. 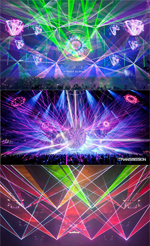 MINISTRY Rental Service supported all technician and electronical equipment and complete laser show, and most of LED screens used on party. NEW light heads by CLAY PAKY company - SHARPs was used also on TRANSMISSION, MINISTRY RENTAL SERVICE is only one owner in Slovak Republic! On Transmission MINISTRY RENTAL SERVICE used 16 lasers, programmed and controled by timecode during intros and transmix and during DJs sets was controled live by our LightJockeys. Video from Transmission - Prague/ O2 arena!